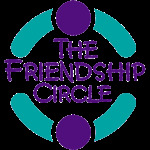 Based on the bedrock foundation of Judaism, V’ohavta l’Reyacha Ka mocha, to love your fellow as you love yourself, Friendship Circle brings together toddlers - young adults living with and without disability for a variety of Judaic and social programming. Together, they enjoy mutually rewarding experiences such as weekly get togethers, Jewish education and holiday celebrations and creative cooking & fitness programs. Inspired by the magic of genuine friendship and further understanding, our members are encouraged to see the greatness in themselves and in others, empowering everyone to develop a more accommodating and welcoming Jewish community for all. 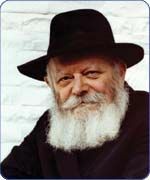 Friendship Circle is a inspired by and a reflection of the teachings of the Lubavitcher Rebbe, Rabbi Menachem M Schneerson. The Rebbe role modeled for us how to see the diamond in every person we meet and the urgency we need to feel to ensure that every member of our Jewish community can access and be a part of their rich Jewish heritage and community.